What Would the World Look Like Without ‘Star Wars’ Sequels? Darth Vader wasn’t always Luke Skywalker’s father. Star Wars character is now key to their whole character arcs. Sheesh, we even met Boba Fett’s dad. Today, Star Wars is much more than a movie. But it is worth noting that it all could have ended in 1977. In Michael Kaminski’s 2007 book The Secret History of Star Wars, it’s revealed that Lucas considered ending the series after the first film, even after it became such a massive global hit. Star Wars could have been the ultimate one-and-done. We think of the world of Star Wars as vast, nearly infinite. This is, after all, the saga Wired called “The Forever Franchise.” But what if it had stopped right there? What if there were no sequels at all? What if Star Wars was the only Star Wars? Tellingly, there would be two sequels in the top ten in 1978, and one every single year since, with the odd exceptions of 1993 and 1994. (Don’t ask me why.) If Lucas never made The Empire Strikes Back there surely would have been disappointment, but it hardly would have been unprecedented. Remember, too, that one of the reasons Lucas is so rich today is because Fox gave him the licensing, merchandising, and sequel rights; the studio didn’t envision more Star Wars movies either. After Star Wars, George Lucas never directed another non-Star Wars movie. He made the three prequels and while he still claims in interviews he wants to return to his filmmaking roots, it seems safe to assume his career as a director is over. But what if Lucas wasn’t owned by Star Wars for the last 40 years? Does he direct Raiders of the Lost Ark himself? Does he abandon blockbusters and make more stuff like American Graffiti? Movies about Vietnam dominated the years following Star Wars, from Michael Cimino’s The Deer Hunter to Francis Ford Coppola’s Apocalypse Now (a movie Lucas nearly directed, once upon a time). Does Lucas – who attempted to join the Air Force after graduating from USC film school and would have gone to Vietnam (he was drafted) had he not had diabetes – try to tackle the signature issue of his time like so many of others? Or maybe he goes back to the tone poems and “visual cinema” of his college art films, which often didn’t have any narrative at all? Who knows what Lucas could have done unchained from Star Wars. Sure, he wouldn’t be as rich as he is now. But I dunno: Those Indiana Jones movies have paid a lot of college tuitions themselves. It’s not just the Star Wars universe that’s altered forever. Think about how much Star Wars changed the business of movies. Jaws is often credited with creating blockbuster culture, but if Jaws synthesized the formula, Star Wars weaponized it. How many little toy sharks did you have, as opposed to Princess Leia figures in 25 different outfits? The whole structure of how Hollywood made movies changed with the Star Wars sequels. Everything has to connect to what came before it, and what is coming next. The idea of a self-contained movie almost seems self-defeating in a Star Wars sequel world. Even when you make a new Star Wars movie, with all new characters, they must connect to the old world. In time, nostalgia became a business to itself. You’re not just trying to create the sensation of experiencing Star Wars; you’re recreating the sensation of wondering what comes next. The Empire Strikes Back is one of the greatest sequels of all time, but it is still a movie without an ending. It is epic, breathtaking, and ... a very long preview of a coming attraction. We have internalized that now: That’s what we expect. But what if the highest-grossing movie ever, at least at the time it came out, didn’t start that cycle?What if we were conditioned to expect a new story, instead of another story? Would every myth have to sustain itself indefinitely? Which brings us to the final question: How, in a sequel-less world, do we look at Star Wars: A New Hope itself? (For one thing, we wouldn’t refer to it by that title.) When we watch the film now, it’s with full awareness of everything that came afterward, not just the movies themselves, but all the other films and books and toys and games they would spawn. How would we react to Star Wars as a single film? After all, think of all the things the sequels improved upon from the first film. Without the deepening of the characters in Empire and Return of the Jedi, Luke, Han and Leia are archetypes without a lot of shading. Luke’s a callow kid, Han’s an antihero, Leia’s plucky. 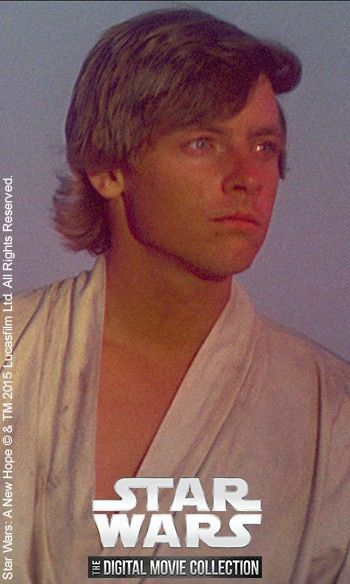 (Meanwhile, Mark Hamill’s legacy is he’s the guy who said that horrible power converters line.) We love them all so deeply now, but are they strong enough characters in just that one film to last 40 years? Does Darth Vader have the cultural presence he does now if the final time we see him onscreen he’s spinning aimlessly off into space? Does the whole thing hold up? Are we sure, if there’s never a sequel, this doesn’t seem less like an eternal space saga and more like, well, like a ’70s relic? We’ll never know, of course: It’s a Star Wars galaxy now, we just live in it. When Lucas opened up the sequel Pandora’s Box, all sorts of demons and angels were released. They’ve devoured motion pictures, for better and for worse. The world is different now because of Star Wars. But I suspect that’s from what came after the film, not the film itself. The Star Wars sequels changed everything. Including, ultimately, the original film. Will Leitch is half of Grierson & Leitch. Subscribe to the weekly Grierson & Leitch podcast. Source: What Would a World Without ‘Star Wars’ Sequels Look Like?